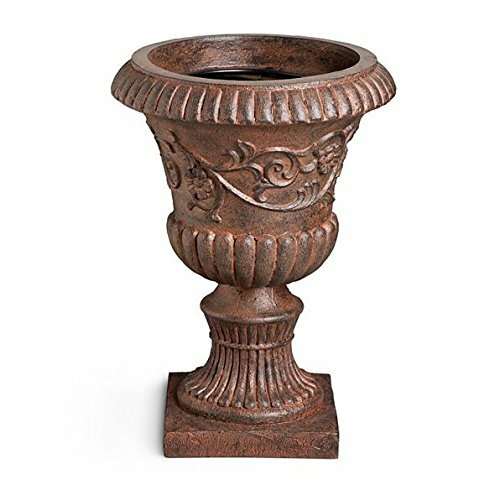 The Venetian Floral Urn (in black rust or light grey) includes a distinct floral and scroll motif with fluted detailing around its top and base. Each garden urn comes with two pot rings to keep a potted plant from shifting. These stylish garden urns can also be used for direct planting: simply fill with soil and add your own annuals or a small shrub. Use any of these stylish garden urns to add an elegant look to your entryway or patio or porch. If you have any questions about this product by DermaPAD, contact us by completing and submitting the form below. If you are looking for a specif part number, please include it with your message.